On Friday 1st September 1939 I was a few months past my eighth birthday and was one of several hundred thousand children under the age of 14 (that was the normal school leaving age at the time) who were dispersed from London to all corners of the country. Our parents had been told to take their children to school and that each child was to take a case or bag which contained not much more than a change of clothing; each of us also had a gas mask in a cardboard box which was slung across the shoulder. I went to a little church school in the very centre of London – about three hundred yards in a straight line from St Paul's Cathedral. At the school we said farewell to our mothers; the two teachers who were coming with us then led us to Farringdon Road underground station - leaving parents and children wondering when they would next see each other. 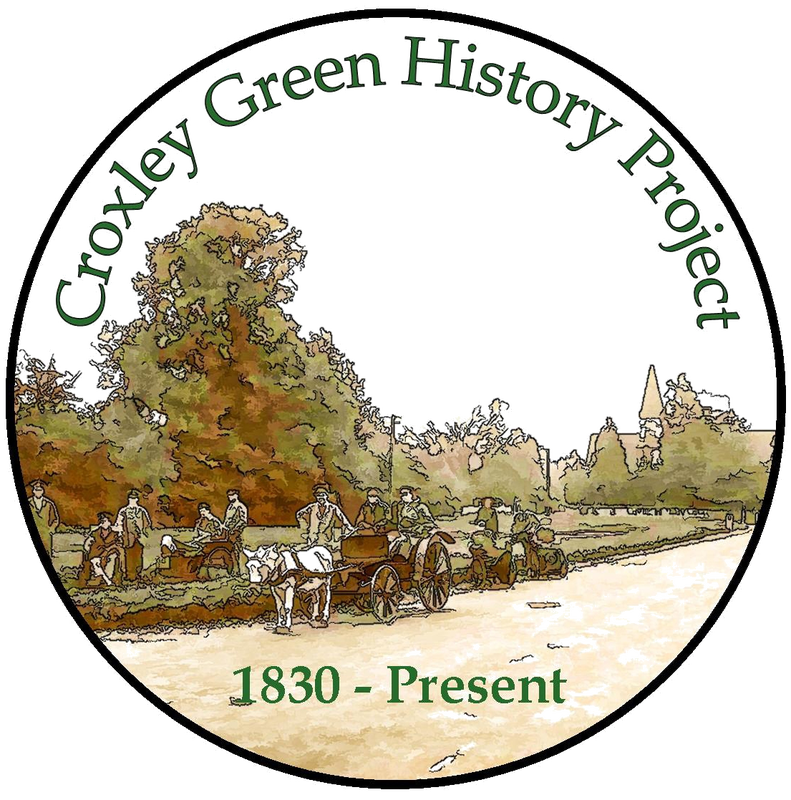 From there we got into a train which eventually arrived at Croxley Green – a place unknown to all of us children – and at the station we lined up and walked in crocodile to Harvey Road school. A number of local ladies had obviously been “persuaded” to go there to take in one or two of the evacuees. I was taken with a “big boy” (he was eleven) to a home in Dickenson Square and we stayed there for about three months. In December the other boy went back to London and I was transferred to No 11 Bateman Road where I stayed for nearly three years. From the time we arrived at Croxley we evacuees from a couple of London schools went to “school” in All Saints Church Hall where we were divided into four classes and the fifteen or so in each class had their backs to the centre of the hall and we were supposed to concentrate on our teacher who was in a corner – speaking outwards. We never had desks at any time so wrote in pencil with our books on our knees as we faced our particular corner – and heard what was going on in the other classes, which was always more interesting. I joined the church choir soon after moving to Bateman Road so went to choir practice on Tuesday and Friday evenings and to church twice on Sundays. (I could have done that journey from Bateman Road to the church with my eyes shut.) At that time there were normally fourteen boys in the choir plus three or four older men – the younger ones would have been in the Forces – and these few men were supplemented by three or four ladies. 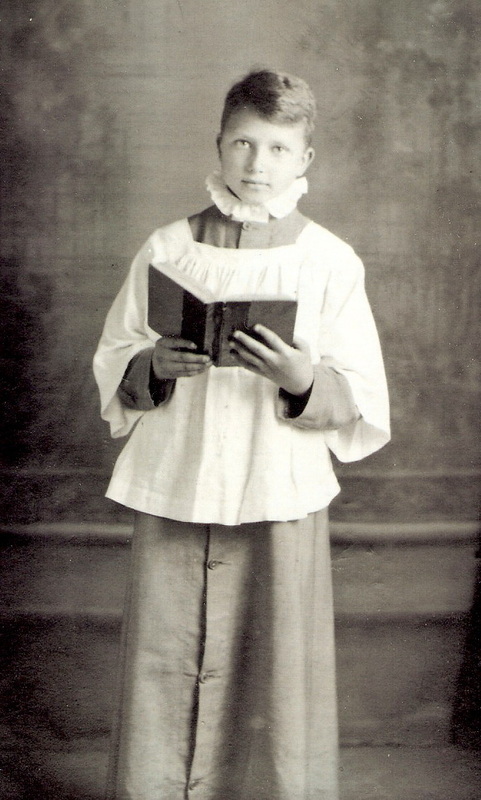 In those days choirs were really for males so the ladies (who did not wear cassocks or surplices) slipped out of the vestry and into the choir pews almost furtively several minutes before the choir and the vicar processed in. We choir boys were paid for regular attendance – five shillings (25p) every three months for regular attendance at church and choir practice. This was supplemented by an occasional Saturday wedding when the boys were each given a wonderful 2/6d (12.5p). In 1942 I passed the entrance exam for Watford Grammar School so bade farewell to my school days in the Church Hall and now waited for the Watford bus about twenty yards away from there each morning. 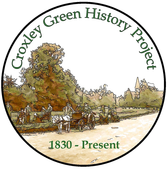 My 'foster mother' in Bateman Road died in mid 1943, so a few weeks before that I was transferred to another 'billet' – this time on the other side of Croxley Green station. However as the 1940/41 blitz on London was now a thing of the past (so everyone thought) I moved back to my real home in December 1943 and for the following term took the train each day from Farringdon Road to Watford Met – repeating my original journey of 1 Sept 1939. At Easter 1944 the City of London School came back from its evacuation to Marlborough College to its home on the Victoria Embankment and as I had passed the entrance exam to the school I now had a ten minute stroll to school, instead of an hour's train journey to Watford Grammar. All seemed set fair in April '44 – however we weren't to know that in the summer of that year central London was to be attacked be V1 “Doodlebugs” (or flying bombs) followed by the V2 rockets – but that is a separate story altogether.